Continue your wedding theme by including these matching reply cards in with your invitations. They are a great idea to encourage your guests to respond quickly. Each reply card is supplied with a white envelope which has been pre-printed on the front with your return address. 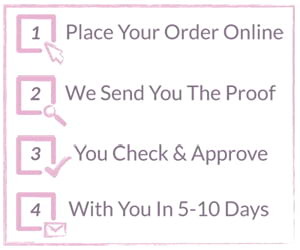 Please note: Due to the production process please allow 7-10 days for delivery of your order.